Why do Building Regulations Exist? Home > Loft Regulations > Why do Building Regulations Exist? There are two reasons why building regulations exist, the first is to protect those around you and the second is to protect yourself. It is not just your loft conversion that is subject to building regulations but it is any building that will come into contact with humans. Building safety guidelines exist to make sure that everything is done above board and your new loft conversion will not be responsible for any accidents. 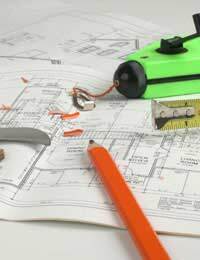 Building safety regulations and electrical safety guidelines are not just there to comply with building safety, as the country becomes increasingly obsessed with being environmentally friendly, building regulations can be put in place to make sure that you are building a property that is as kind to the environment as possible. When you are building your loft conversion you will need to show that your walls are not letting out any heat, which in turn will make your house more energy efficient. You will need to get all of your building and plumbing work checked by the building inspector and show that it is up to standard. It is not just everyone else that building safety regulations are there to protect, it goes without saying that you do not want your new loft conversion to fall down around you after a DIY job gone wrong, but it is important that you follow the building regulations for other reasons as well. If you are carrying out your loft conversion in order to increase the value of your property it is important that you have all the building work certified and checked by the building inspectors. If you ever come to sell your house and you cannot produce the right paperwork or approval for your loft conversion then it will decrease the value of your property and it may put someone off buying your house. You loft conversion may look good from the out and inside, but it if doesn’t match building regulations it will not be seen as a proper extension in the eyes of a surveyor and you may have to do more building safety work on it in order to sell the property. It is important that you budget enough money for the loft extension before you start out, there is no point trying to save money by going to tradespeople who do not get the work accredited, but charge you less money, as you will end up paying for it in the end. You do not want any problems when it comes to electrical safety or your plumbing work. It is hard to believe that not all builders follow building regulations, but be warned, it is not just your builders responsibility to follow the regulations but you will also be accountable if you have any work done to your house that does not comply with building regulations. This will not only be frowned upon in the eyes of a surveyor but could also end up landing you a fine or your loft conversion being pulled down. It is illegal to carry out conversions to lofts without the building work that does not comply with the regulations that it needs to. It is important to follow the building safety regulations, not just for yourself, but to ensure the safety of others around you. You should not just rely on your tradespeople to comply with the building regs, but also refer to them when you are doing any DIY work. Ask your builder to see proof of the certificates they receive to show that it does meet the required building regs.